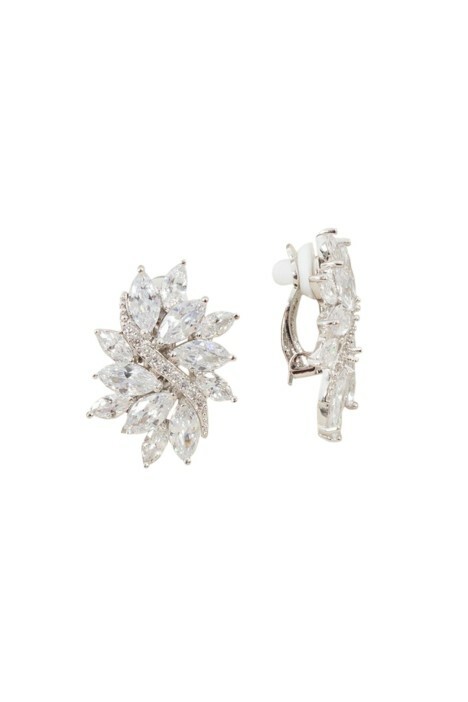 Don’t have pierced ears, but are still after a gorgeous earring? Stay on style with this cubic zirconia earring with overlapping stones and stunning diamantes set down the centre. Constructed with silver metal, this is one head turning piece! Hire it with your sequinned gown for another dash of glam, or with your metallic mini dress to really make a splash! For a more sophitsitcated look, pair it with an understated midi as an eye-catching piece! Rent these with a pod clutch to let the earrings and your dress do all the talking! If you're looking for more outfit inspiration, check out our 'Top 5 Red Dresses & Makeup' blog post!